Heavy duty Detergent Sanitiser with excellent cleaning powers. Powerful pre-cleaner to kill bacteria. For use in animal housing. Quickly, safely and efficiently removes soil and faecal matter prior to terminal disinfection. 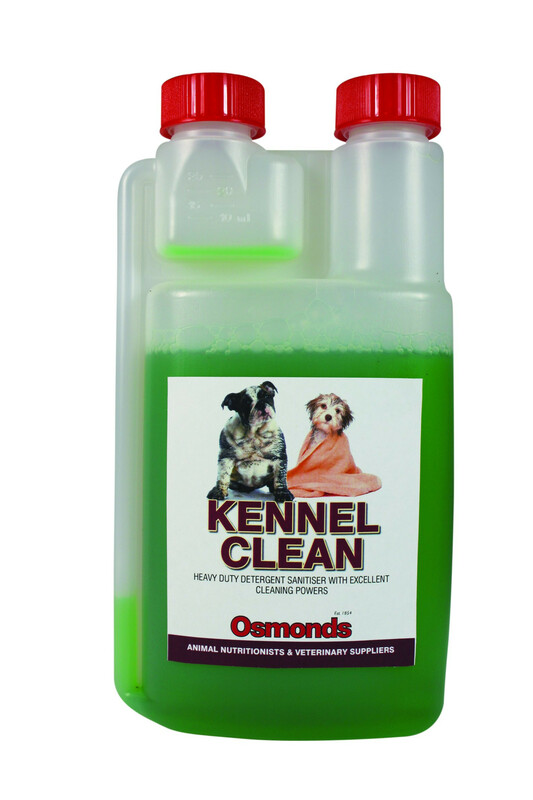 For use on concrete, kitchen floors, kennel runs, grass, etc. Can be used safely in the presence of animals and humans in the correct dilution. 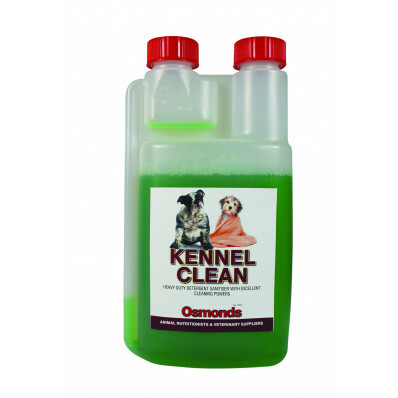 Dilute 50-100ml of Kennel Clean to 10 litres of clean water depending on the severity of the soiling. Apply with a sprayer, mop and bucket or pressure washer. Can be left for up to 10 minutes before washing or hosing off.